Brian G. Feagan completed a medical degree at the University of Western Ontario in London, Ontario, Canada. His postdoctoral training included residency in the Department of Medicine and a fellowship in Gastroenterology at the University of Western Ontario. 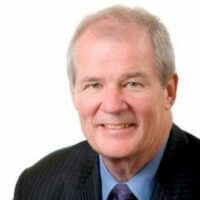 A Fellow of the Royal College of Physicians and Surgeons of Canada, Dr. Feagan holds membership in the Canadian and American Association of Gastroenterology, the American College of Gastroenterology, the College of Physicians and Surgeons of Ontario, Crohn’s and Colitis Canada (CCC) and the European Crohn’s & Colitis Organization (ECCO). He is the recipient of the 2013 Senior Achievement Award from the Crohn’s & Colitis Foundation of America (CCFA) and Dean’s Award of Excellence in 2013 from the University of Western Ontario. He has authored over 200 articles, book chapters and has also given over 900 invited presentations, and national and international scientific meetings.